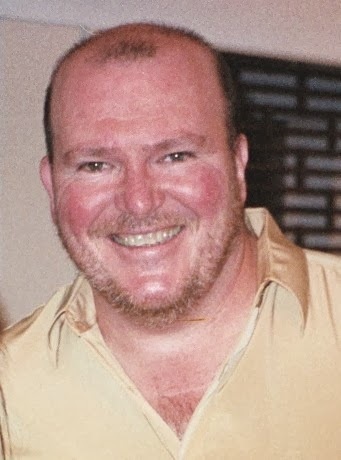 Today's guest post is from Chris Ryall, an Aussie in Japan. Konnichiwa. My name is Chris Ryall. My wife and I are Australian, and have lived in Japan together for 16 years. Recently, after not having returned to Australia for 5 years, we made a trip home to celebrate Christmas and New Year with our families. After so long away, it was great to see all the various fare that I had loved as a youth growing up on the Gold Coast. My sister cooked up her delicious recipe of lemon-pepper lamb shanks, and on another night, her husband barbecued some delicious Australian beefsteaks, still on the bone. We also ate out at the local branch of a popular restaurant chain, “Outback Jack’s”, which specializes in traditional Australian ‘tucker’, our local word for food. Mostly, it serves meat and seafood dishes. I politely explained to my friend that sushi is only one of a large variety of dishes in Japan. By her expression, it was obvious that she had never really thought about it. It is true that Japanese people generally eat a lot of fish, as well as other types of seafood, but the cooking styles and recipes are endless. Fish is not just eaten raw either; an equal amount of fish is eaten grilled, broiled, steamed and fried. Most of our Japanese friends tend to eat sushi only once a month, which seems to be about the average. While it’s a popular meal, it certainly isn’t eaten as often as the stereotype would suggest. Amusingly, the first thing my wife and I were served when we came to Japan was takeout from McDonald's. Our host family was so unsure of whether or not we would like Japanese food that they kindly went out and picked up some hamburgers for us before we arrived. We didn't have the heart to tell our hosts that they are best served hot, and we did our best to eat the cold burgers with a smile on our face. We virtually begged them to let us try some Japanese food for the next meal, and so they took us to a typical family restaurant in Japan, which usually has some western food on the menu of predominantly Japanese dishes. We were surprised to see just how much fried food Japanese people eat. The next day though, we did indeed go to a sushi restaurant, and yet the first dish was not sushi at all, but ‘sashimi’ – raw fish, which when dipped in various sauces was actually quite delicious. Although it’s not a custom in Australia to eat fish raw, my wife and I have come to love it. Later, living in Osaka, we also developed a love for Okonomiyaki, (a kind of Japanese savory pancake, but with various toppings including vegetables, meat and seafood), and Takoyaki (a fried and battered octopus dumpling about the size of a ping pong ball). In Nagoya, we enjoyed eating Misokatsu (a fried pork cutlet with a dark, rich sauce), and in Tokyo, we sampled many different Japanese curries, and Soba (Japanese noodles). We have even eaten fruit here that we never previously knew existed, such as Nashi (a Japanese pear, shaped like an apple), and Mikan (an Asian variety of mandarin). As we moved around Japan, we realized that there are many different styles of cooking, and a myriad of different tastes, in Japanese cuisine. In fact, Japanese love to eat foods of contrasting tastes, such as sweets with bitter green tea, or a sour red plum with bland white rice, and so on. My point is that the stereotype of ‘sushi’ as Japanese food is similar to saying that Americans only eat hamburgers, or that Australians only eat steak. Ironically, speaking of eating steak, I think that the most delicious Australian steak I have ever eaten has been in Japan (export quality). Then there is Japanese steak. You may have heard of the term, ‘Wagyu’, simply meaning Japanese beef. The most famous varieties of ‘Wagyu’ that I know of come from Hokkaido, Kobe, Gifu, Kumamoto, Tottori and Matsusaka. 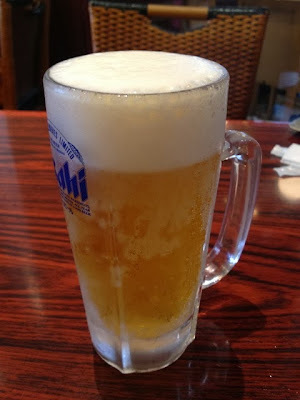 While ‘Wagyu’ is not for everyone, due to its ‘marbled’ form and high fat content, I certainly recommend trying it at least once, especially with an ice-cold Japanese beer. Japanese don’t just drink ‘sa-ke’ (rice wine). My favorite ‘wagyu’ though is Matsusaka-gyu, even if it is a little expensive. This reminds me of the other associated stereotype I have come across, which is that Japanese don’t eat much meat in their diet. This is quite far from the truth. 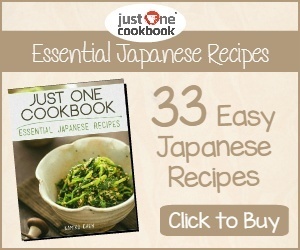 Many Japanese people love to eat a variety of meats, including chicken, pork, lamb, and beef. After moving to the mountain village in which we currently reside, we even ate Inoshishi (wild boar) in a kind of broth, and Shika-nabe (deer in a broth), for the first time in our lives. I have eaten ‘venison’ before, but I’ve never even seen wild boar meat sold in Australia. Mind you, many tourists traveling to ‘outback’ Australia can enjoy sampling kangaroo meat, camel meat (cooked like bacon), crocodile and of course ‘Aussie’ lamb. It’s fair to say that I have eaten more vegetables and salads here in Japan than I ever ate growing up in Australia, although that might have more to do with my wife’s cooking and Japanese lifestyle than my family or the eating habit of most Australians. However, my point is that Japanese people do eat quite a lot of salad and vegetables, especially at barbecues during summer, and in various kinds of broths and soups during winter. Finally, Japanese people love trying food from around the world, and just like in a lot of other countries, Chinese, Thai, Indian, French and Italian restaurants are very popular here. Living in Japan has also given me the chance to eat at Korean and Vietnamese restaurants as well. After our conversation that night, I think my Australian friend now has a better understanding of what average Japanese people eat. Not all you see is sushi. sushi with asahi oh yes! Hi John, thanks very much for the share! I do hope we can get together and share some sushi with you and your family some day. 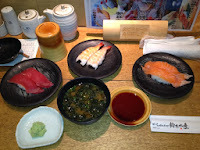 We have a favourite place here in Matsusaka called, Suzuki Suisan, gourmet sushi. It`s a real treat. Their autumn dish of `dobinmushi` with matsutake mushrooms is really delish!